These downloadable pattern designing instructions are intended for use with your patterns drawn from the Sure-Fit Designs fitting and sewing kits. In this particular instance the kit used is the Dress Kit. As you read through your instructions, you'll notice that if you choose to add on a wider 'waterfall' drape, the lower the drape will hang. 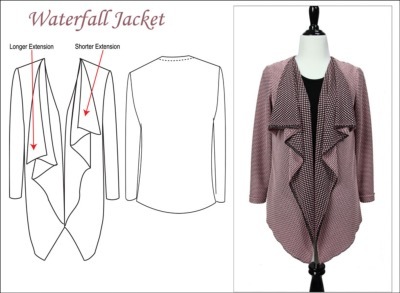 For the pink/black knit jacket, Glenda chose the shorter waterfall extension. Move your mouse over the main picture to enlarge it. 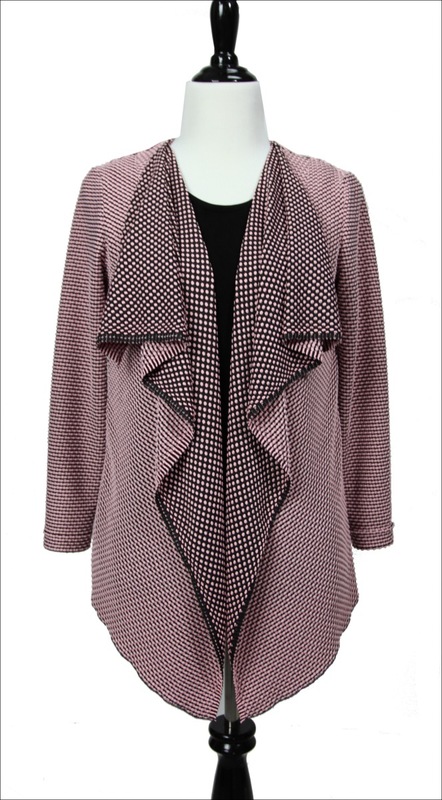 This jacket looks great over either a matching or contrasting tank top. The basic black tank top sets off the black in the fabric. However Glenda purchased plenty of fabric to sew a coordinating tank. This particular fabric has a real funky selvage that looks like mini-fringe. It was just perfect for leaving as is for the lower hem edge. In order to achieve this she needed to lay the straight of grain PERPENDICULAR to the selvage, not the usual parallel to the selvage layout. She then cut a design line from the right armhole through to the lower left side seam. Once the pattern was cut apart on this diagonal design line, seam allowance was added. She wanted the fringy selvage to act as a design element in the final presentation. The fabric wrong side was dominant in black, so she reversed the fabric to cut & sew the bias trim that she applied at the armhole and neckline. 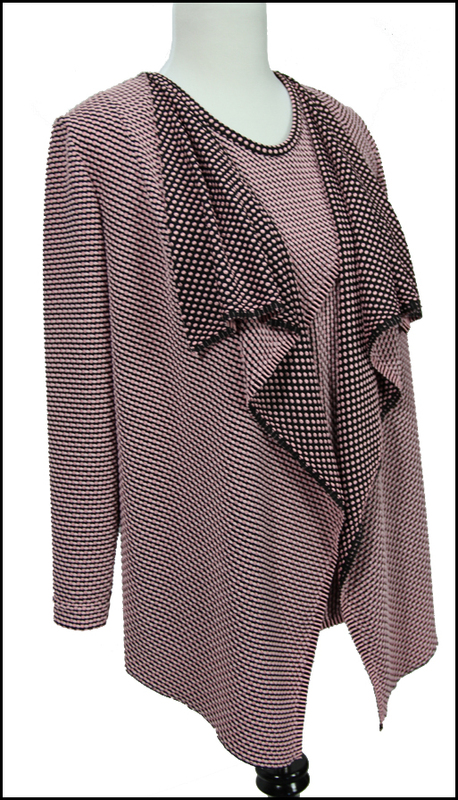 All up, it's a great design combination - the waterfall jacket and the tank top. 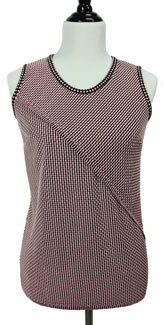 For the Tank Top see the general Tank Top Digital e-good pattern.